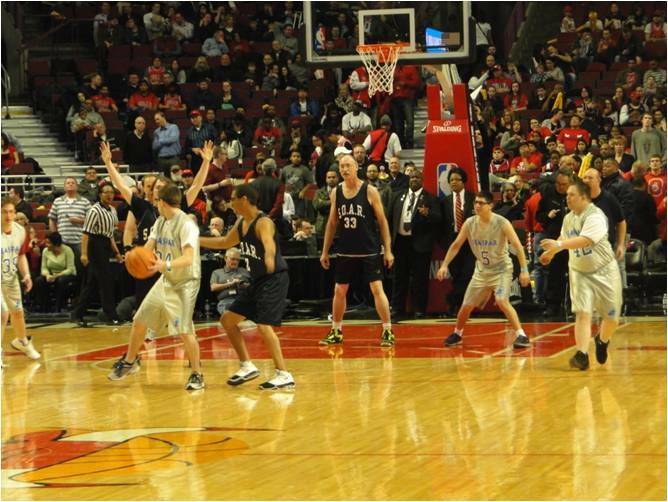 Special Olympics Illinois athletes were invited to take part in a halftime demonstration during the Chicago Bulls game on March 13. Fans cheered on great play between the SEASPAR Spartans team, located in the southwest suburbs of Chicago and the SOAR Chiefs from Bloomington, IL. 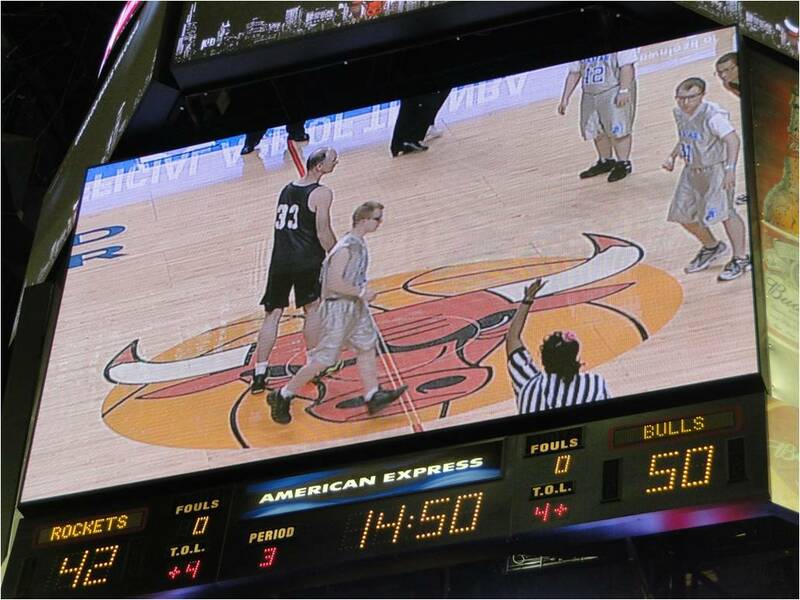 The opportunity to scrimmage on the same court as the Chicago Bulls is a highlight for the Special Olympics players and coaches and judging by the audience response they also had a great time.